Kylesa are one of the fast-improving bands of the last decade, achieving mainstream success on 2009's Static Tensions, and following it up with the critics' darling, Spiral Shadow in 2010. I would advise you to add these albums to your library if you're a fan of Baroness and Mastodon. The band has a signature sound in a female vocalist and, more importantly, two drummers. Yes, two. Sometimes they play the same beat for a heavy raw sound, more recently they play two different beats simultaneously, a move that would have been scoffed at by detractors of Slipknot's three drummer approach, but the sound works well here. 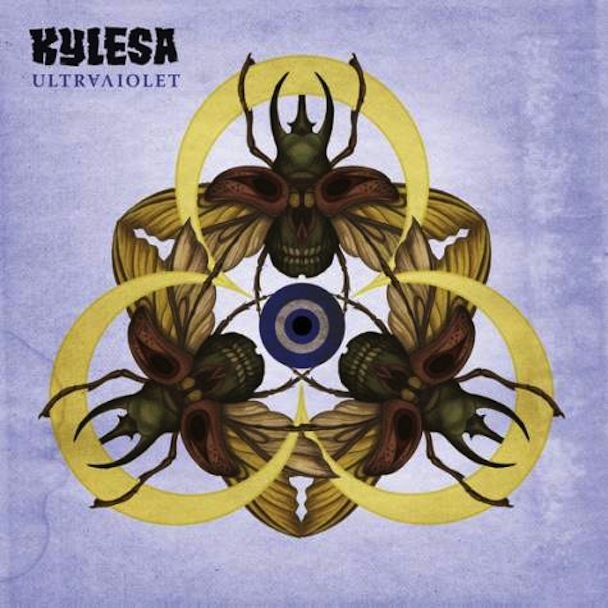 The main draw on Ultraviolet is a more psychedelic sound as opposed to the raw, heavy sound of their past. Guitars still sound abysmally heavy (this album is definitely heavier than Spiral Shadow). Also, guitarist/vocalist Laura Pleasants has a greater role to play on this album, more than any other Kylesa album. Her voice shifts from primal screams to melodic singing, and this creates a fantastic dynamic with fellow guitarist/vocalist Phillip Cope's screams, you see this most obviously in 'We're Taking This', the album's midpiece. The album is also a lot darker than the pop-sensibility of Spiral Shadows, they are less hooks and sing-along choruses. The shift in priorities over atmosphere may derail the newer fans, but I find the ominous guitar swashes and effects interesting enough, especially on 'Unspoken' and 'Long Gone'. This is obviously an album that works well as a full package rather than a collection of stand-alone songs, because the atmospherics permeate most of the songs on the record, with only a couple of songs, namely 'What Does It Take' and 'Vulture's Landing' holding enough pop hooks and melodies for quick listening. This isn't a fantastic record, good but not enough to be an important album for critical listening. Spiral Shadow was definitely the crowning achievement of the band, this album feels more like an experiment, no doubt one with it's perks, but not as memorable as Spiral Shadow. The departure from pop tunes has sorta backfired on the album, at least in my case. Some songs feel like filler even in such a short and concise album (about less than forty minutes). The drums also fail to create the memorable poly rhythmic rhythms the band is famous for, choosing heaviness over progression. It is a good album, but not a good introduction to the band.